Precision calipers for measuring internal and external dimensions and depth. 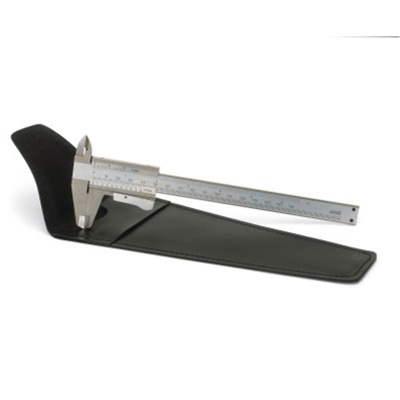 Tempered stainless steel, precision polished measuring surfaces, gauge with matte-chrome finish. In imitation leather pouch.